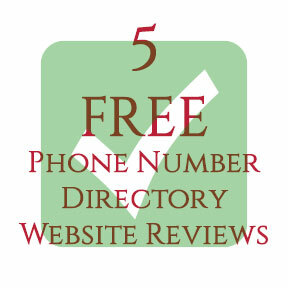 Pros: Great features, including the ability to search other phone numbers with a similar area code (useful for those annoying spammers who use multiple numbers but reside within the same area. Has a dedicated area where you can log in and track which numbers you entered to see if there are any more comments. Large database, many many numbers on this website. Ability to search for numbers without having to log in. Constantly updating, a new number is posted every 2-3 minutes. You can send them messages if you have questions. Cons: Most of the phone numbers have little information, some have lots of information like caller name and company, but most of them are empty. Limited information on the website. Pros: Huge website with tons of information, including a forum area. 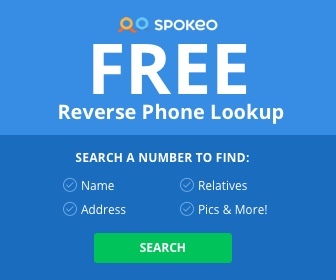 Has the same search functionality of “Who Called Me” (see above), whereas you can enter your phone number and it will return a list of results, prompting you to log in to record the number. Has a videos, forum, news, and articles section packed with info. Cons: Numerous numbers are non-US. Meaning if you are from the United States you might not get much luck from this website. Try it just incase, but don’t expect anything amazing. Most of the comments are about telemarketers, not individuals. Pros: Simple, straightforward design. A decent amount of numbers in the database. Cons: Riddled with ads everywhere you click. Clicking on the search bar brings a pop-up ad. Clicking on the sidebar = ad. Little to no information about the website and tips to stop telemarketers or find out more info about people who called you. Still in beta (not sure what they are waiting for, to be honest). Avoid this website unless it it’s your last resort. Pros: Has a great deal of numbers in the database and some are ranked based on “most reported”. The website also boasts about having apps that you can download on your smartphone to block callers from calling you, which could be useful for telemarketers or spammers trying to call you. In addition, there is a support area and blog that details more about how the apps work and the best ways to prevent people from calling you. The everycall.us Apps are available on Blackberry, iOS (iPhone) and Android devices. Cons: While it has a lot of number, it doesn’t seem to be updated constantly. The apps sometimes require you to pay for them. The website, however, is free to use (with ads occasionally). Pros: Has an interactive heat map, showing the most recently reported numbers and where they came from. 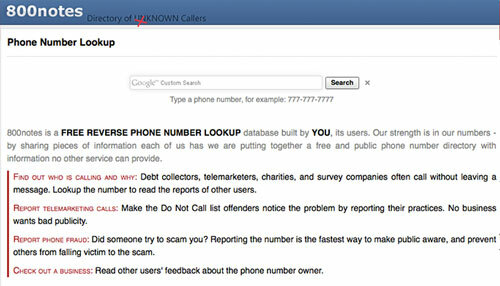 Very useful for tracking down telemarketers and other spam callers. Has an easy report system and few ads, also lets you create an account to track the numbers you have reported. Has a “current time” feature that shows a Google map of the reported number and what the current time is at that location. Cons: Very little activity on the website. With such cool features like the heat map, it’s a shame that the rankings of the website aren’t as good as they could be, and with that the site doesn’t have many numbers being reported and discussed each day. Maybe as time goes on more people will visit the site and use it, but for now it’s almost dead. Thank you for sharing those reverse phone directory. I hope all are friendly users. Have to say that many of the methods here are common sense but there are a few gems out there for people who really need to know who called them. Keep it up. gotta say this is perfect… I’ll be looking at all these sites!! !